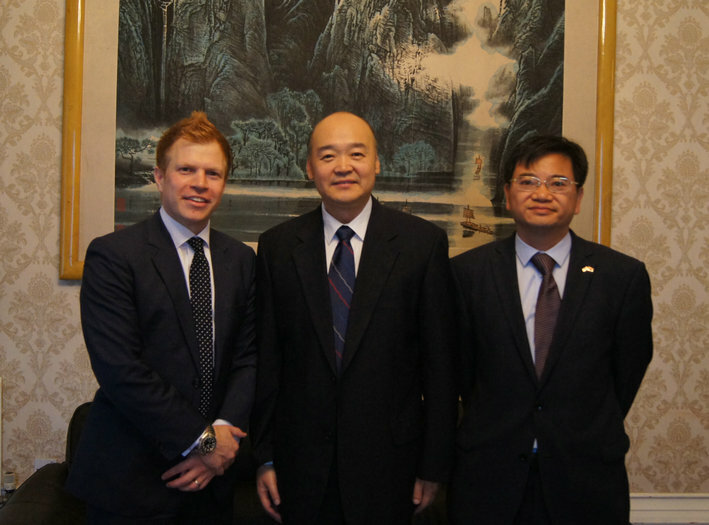 Consul General Dr. Sun Dali met with Rhys Whalley, executive director of Manchester China Forum at the Consulate General on September 13th, 2016. Deputy Consul General Lai Bo and Consul Lyu Xiaomei attended the meeting. 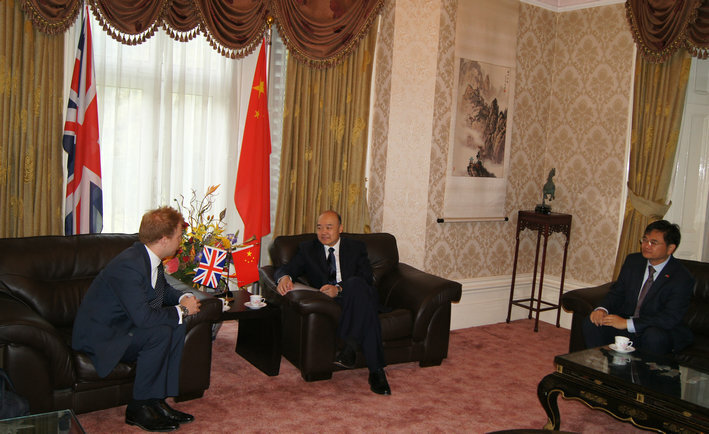 Rhys briefed Consul General Sun on Greater Manchester and Manchester China Forum and made proposals on how to strengthen ties between the north of England and China.